This month I thought I’d hone in on a perennially popular element of gift-giving: wine. Always a default option when you’re tight on time or short on knowledge of whoever you’re buying for, wine is often considered ‘safe’ (and not in a good way). In fact, on this very blog I have been known to chastise those who buy a bottle of wine as a host gift, instead encouraging you to stockpile items and hand ’em over as the occasions call for them. That being said, I recognize that for some folks, wine is their passion, and I’d never want to discount that. So this month, I’ve rounded up 10 accoutrements for all those vino lovers out there – for $10 or less. And not to belabour the point – but these gifts? Way cooler than a bottle of wine. 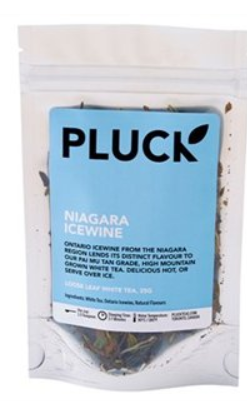 Only in Canada could you find a tea that is infused with real icewine from the Niagara region. This flavourful white blend is a delicious way to get your wine fix in with breakfast without actually downing some sangria. 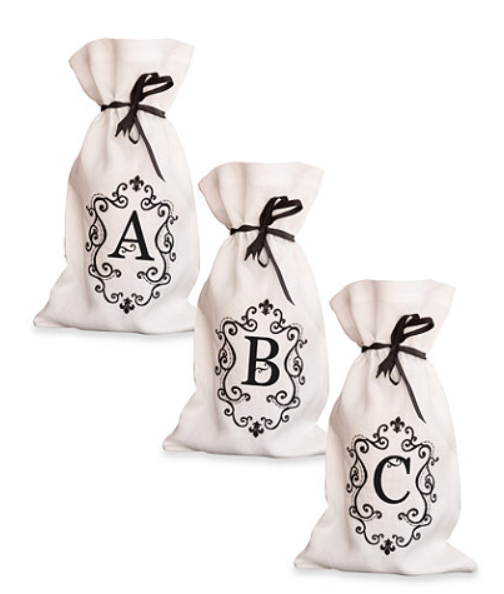 If your gift is the bottle of wine itself, then dress it up a little with a baroque-inspired wine bag with their initial on it. After they’ve unveiled their vino, they can reuse the bag for lunches! 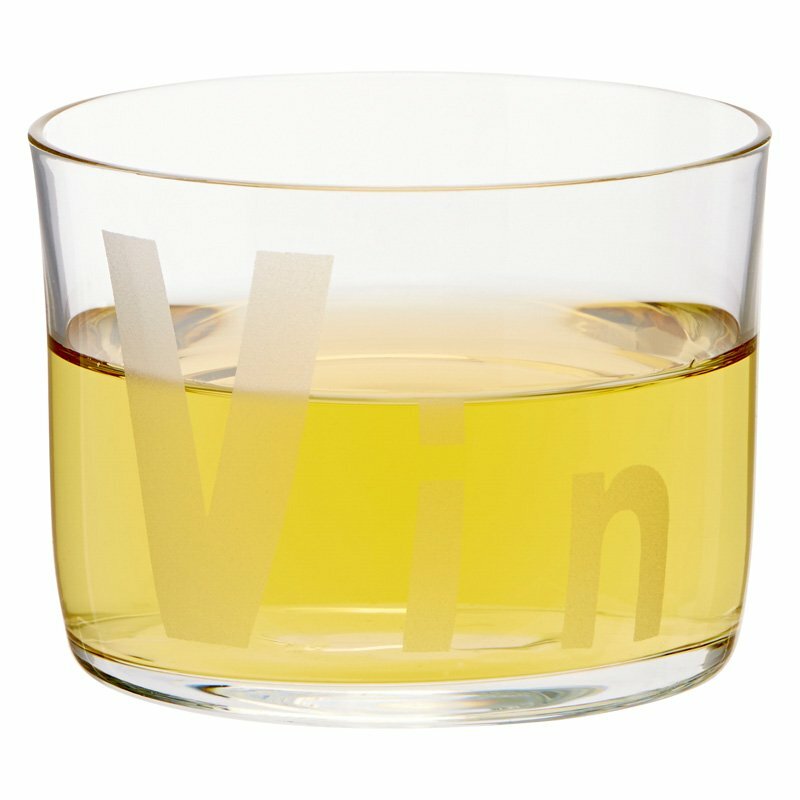 Bottoms up with this unique, tumbler-style take on a wine glass. Elegant, chic, different – just like your friends’ taste in wine. A set of four would make a swell housewarming gift alongside a bottle of white. Want to scrub up with your favourite blend? Okanagan Wine Soaps offers a dozen different bars of soap infused with real wine (as well as bath salts!) Perfecto stocking stuffer. Umbra has a ton of cute silicon wine charm sets that take the frumpy out of this social gathering standby. The next time you’re heading to a group affair, bring along one of their cute collections to make sure no one actually sips on your bevvy. Love the full-bodied taste of a glass of red but hate the icky stains? 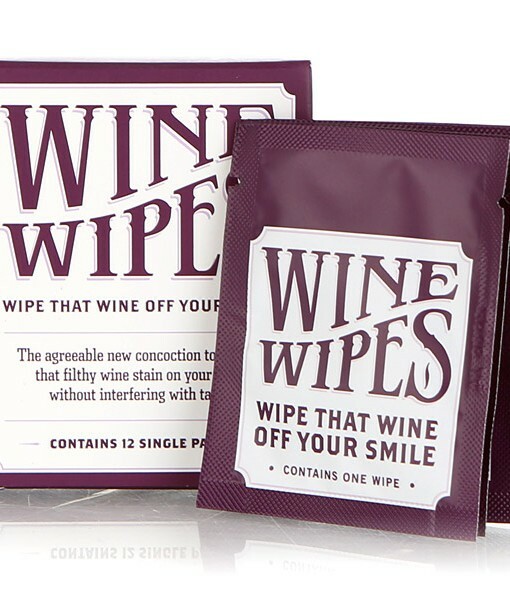 These refreshing wipes will polish up that smile without compromising the taste of your next glass. If you’re only in the mood for a glass or two but don’t want your bottle to spoil, this handy wine-preserving pump basically vacuum-seals your favourite beverage in a few seconds flat. This gourmet sea salt is actually infused with real red wine – a flavour and colour that shines through in cooking (particularly for beef lovers). 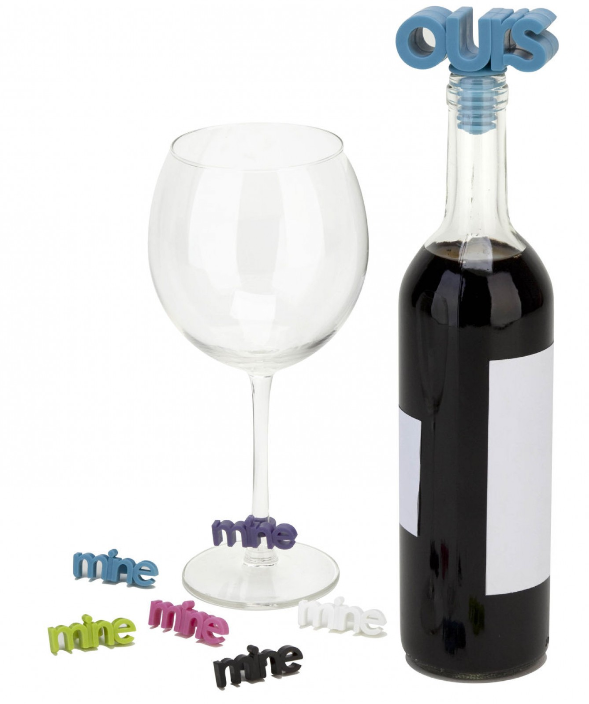 Want to enjoy a glass of vino while on the move but don’t want to lug around a glass bottle? 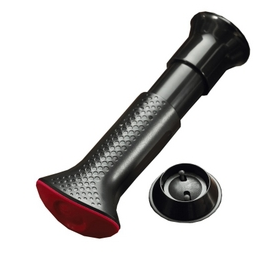 This much safer and lighter option includes a handy two-sized mouth, making filling and pouring super easy. Plug up last night’s bottle with this quirky cork replacer, in the shape of a person’s finger. A particularly spooky hostess gift pick come Halloween. Bonus Entry into this month’s Find of the Month giveaway for Opelle! Tell me in the comments below – are you a wine drinker? Which of these gifts would you love to gift or receive? 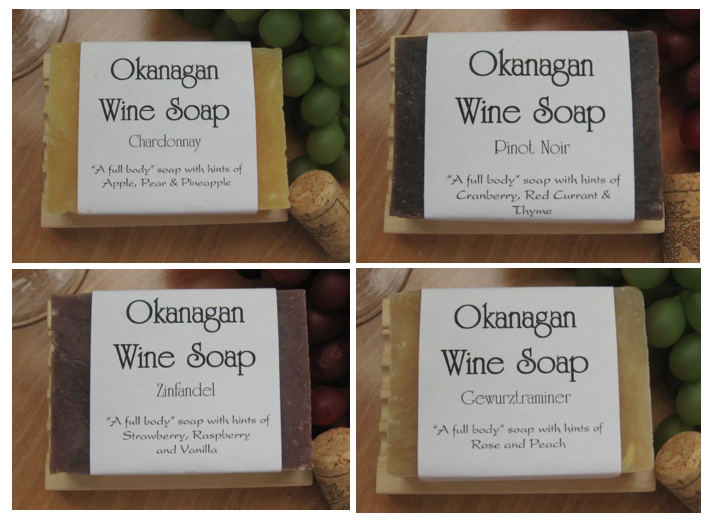 I would love to try the Okanagan Wine Soaps. I love wine and hope one day to have the chance to visit Okanagan region. In the meantime, Okanagan Wine Soaps would be nice. I love wine and have loads of wine tools, but I don’t have a finger stopper! I’m not a wine drinker but I do like the Okanagan wine soaps and the sea salt. I do enjoy a glass of wine. I think that the icewine tea would be a great, unique gift to give to someone who loves wine who is not from Canada. Love my wine ❤ ! The Okanagan wine soaps are such a wonderful idea and I also would purchase the wine bags. I love red wine and would love to receive the Monogrammed Wine Bags! I have to say I don’t drink wine myself because of health issues but everyone I know does. But I do cook with it so would love to receive the Fleur de Merlot Sea Salt – $5 @ Flavors of the Med, as well as the wine bags & the tea. Just finished checking out the Stocking stuffer store & the Flavors of the Med store & will be keeping them in mind for Xmas. They are awesome. I do not drink wine. 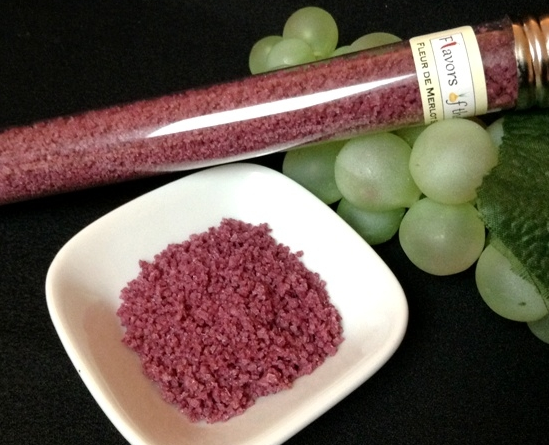 I would like to give the Fleur de Merlot Sea Salt to my son as he loves to cook. I enjoy a glass of Merlot with special meals and occasionally just sitting back and relaxing. The Wine Preserving Pump would be a great way to keep the remainder fresh. I’m not a big drinker although I do like the occasional glass. My best friend is a huge wine lover but being pregnant she can’t drink at all. I would love the tea and soaps for her to give her a little wine without the alcohol! I’m not a wine drinker but like the wine preserving pump. i’m very much a wine drinker. Fleur de Merlot Sea Salt looks really interesting to me! I’m an occasional wine drinker, and a faithful tea drinker! So I’d love to receive the ice wine tea! I love wine! I think the monogrammed bags are so cute to gift! I drink win occasionally and am in a wine club. LOVE the Okanagan Wine Soaps! Not a huge wine drinker but would love to try those Okanagan wine soaps. I am not a wine drinker but my sister is. I would gift Wine Preserving Pump to her if I can. I am a wine drinker and I would love to try the Okanagan wine soaps. I’m an occasional wine drinker. The Okanagan Wine Soaps would be so cool!